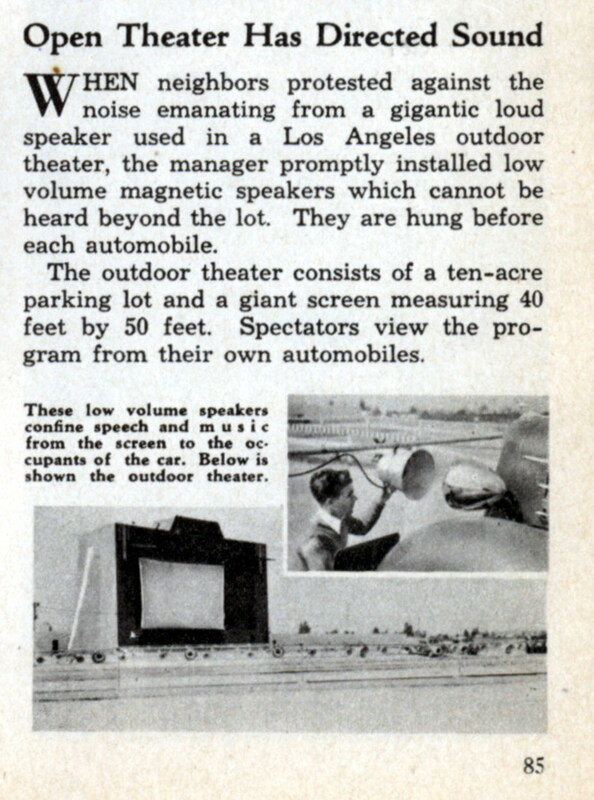 WHEN neighbors protested against the noise emanating from a gigantic loud speaker used in a Los Angeles outdoor theater, the manager promptly installed low volume magnetic speakers which cannot be heard beyond the lot. They are hung before each automobile. The outdoor theater consists of a ten-acre parking lot and a giant screen measuring 40 feet by 50 feet. 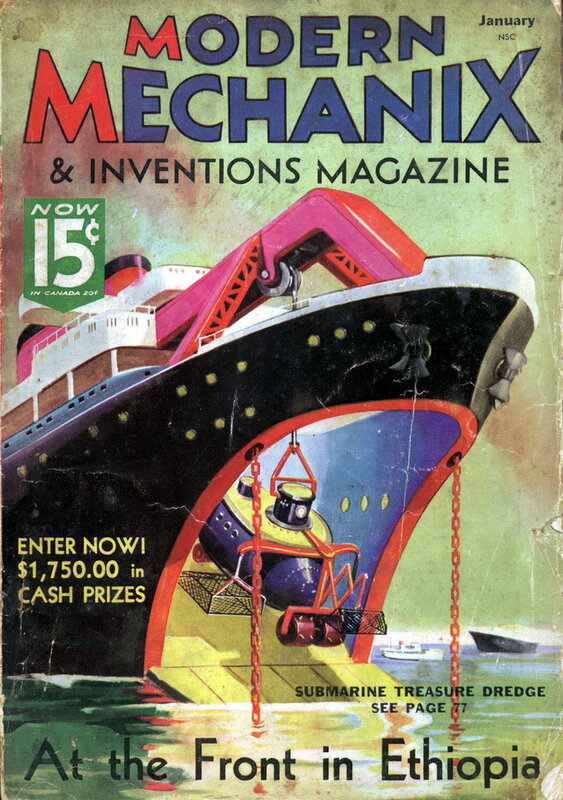 Spectators view the program from their own automobiles. My local drive-in had a speaker for each car, until just a few years ago, when they finally got an FM radio system. I didn’t realize there had been a drive-in with one huge speaker for the whole lot.